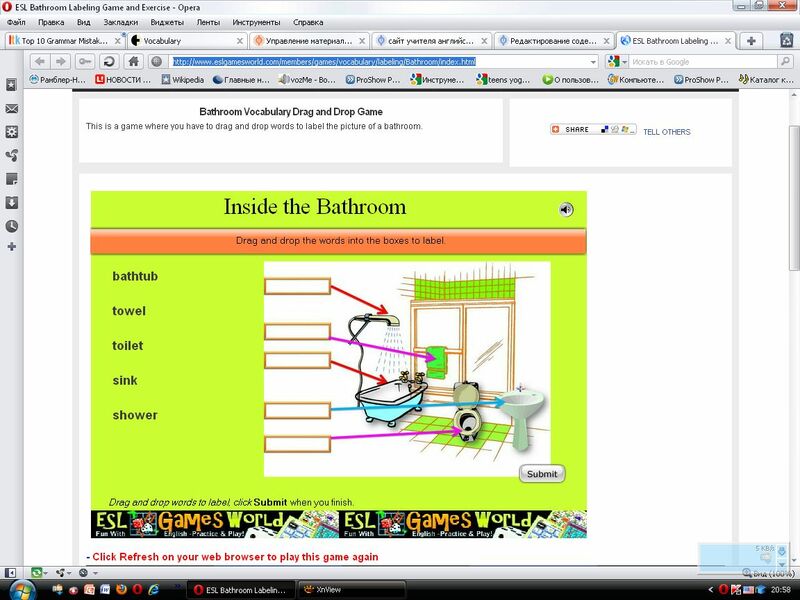 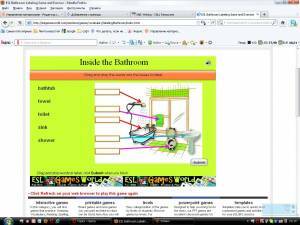 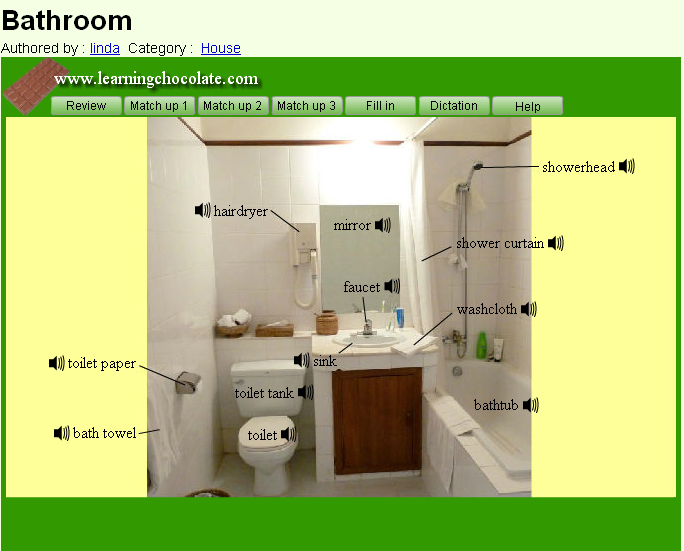 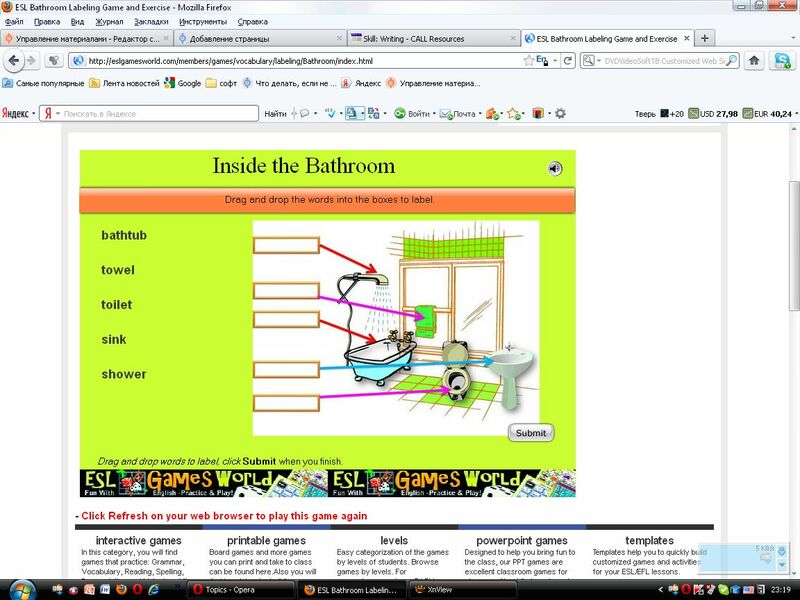 This is a game where you have to drag and drop words to label the picture of a bathroom. 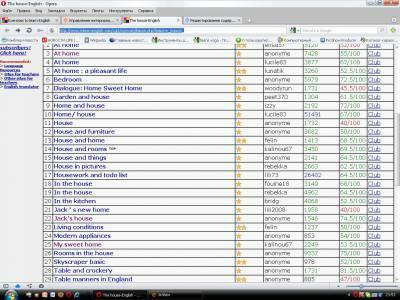 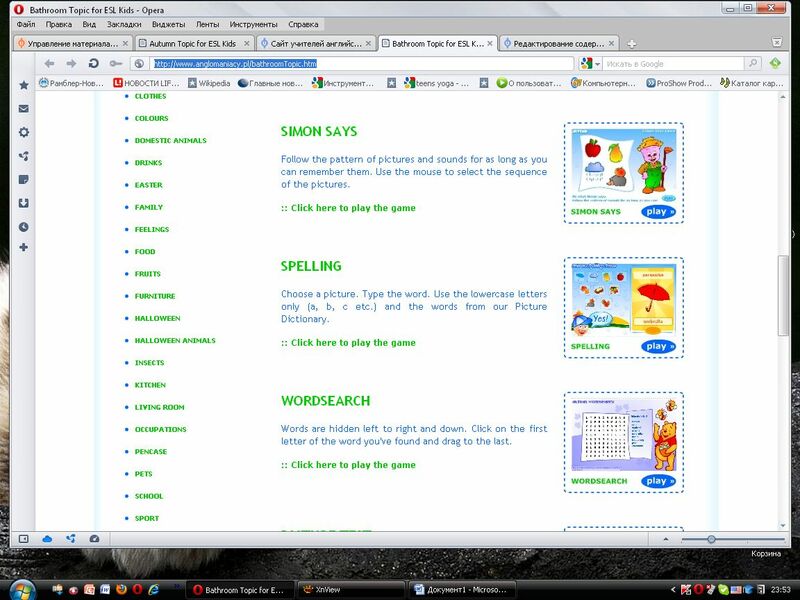 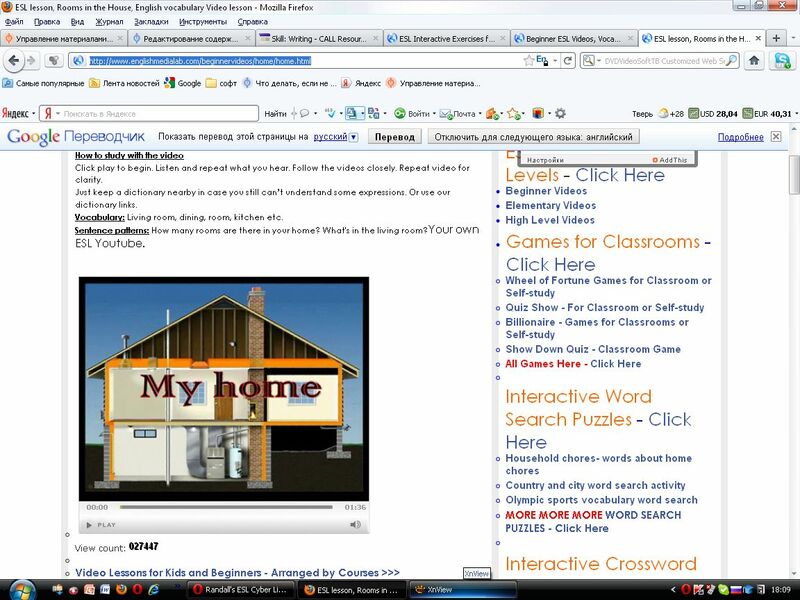 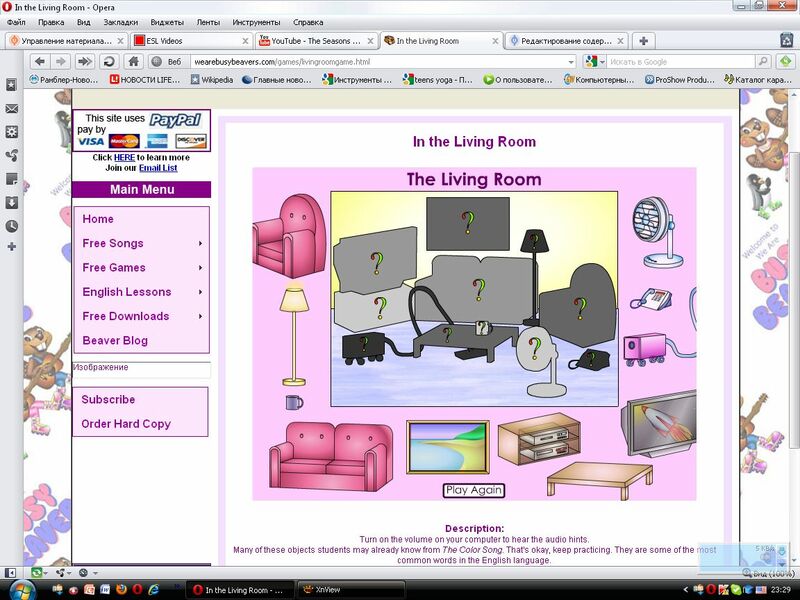 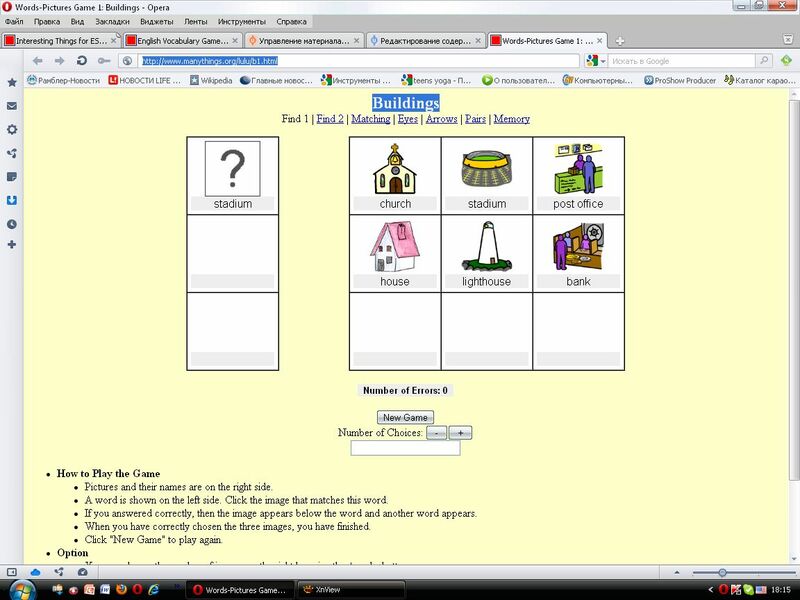 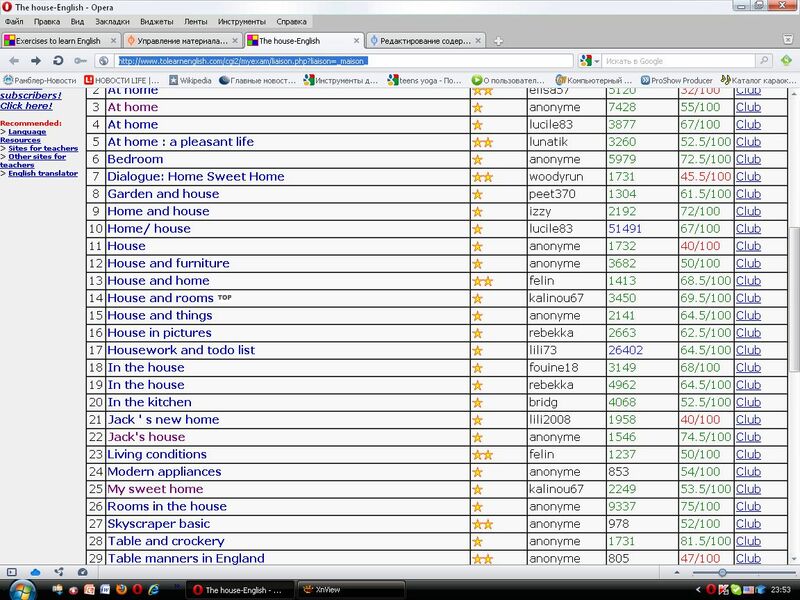 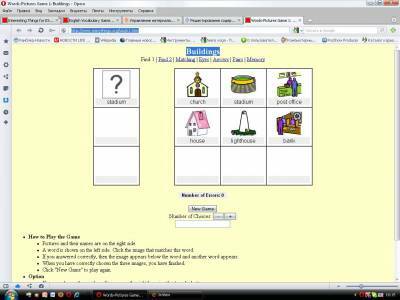 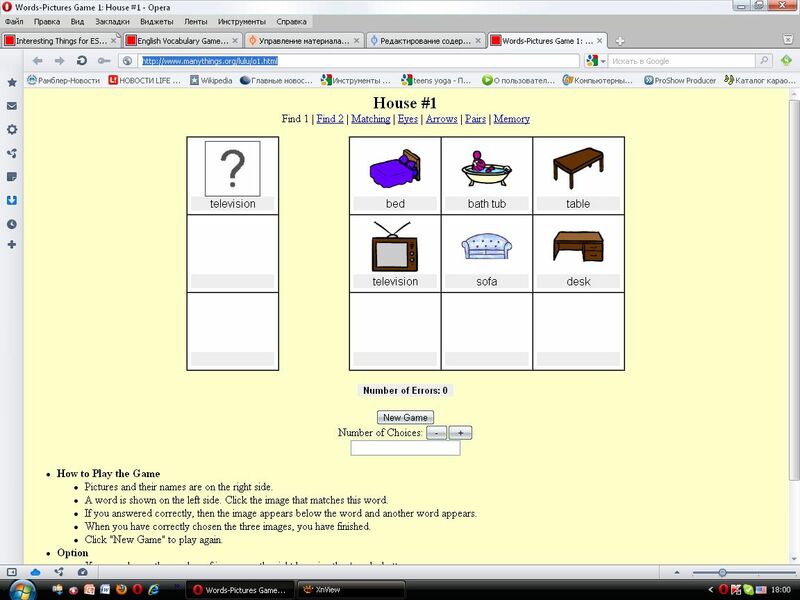 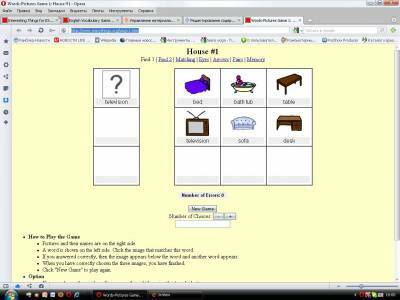 This is a game where you have to drag and drop words to label the picture of a bedroom. 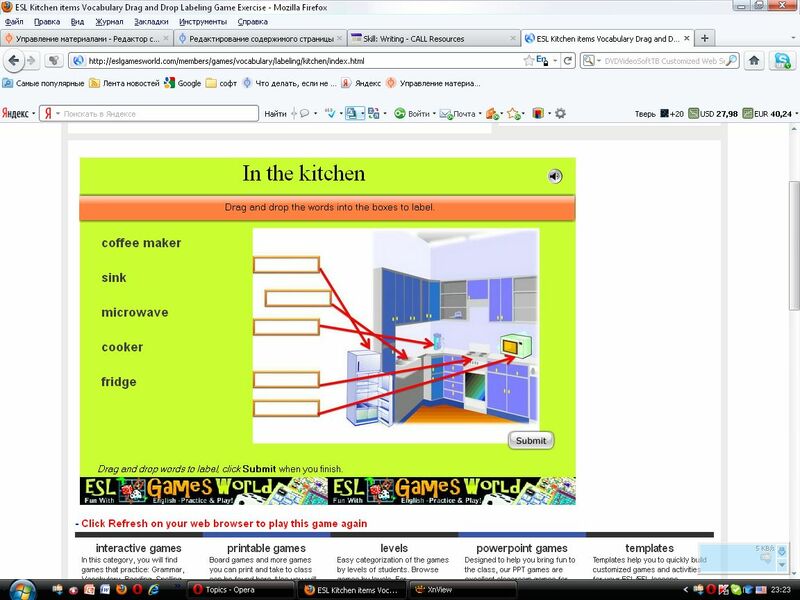 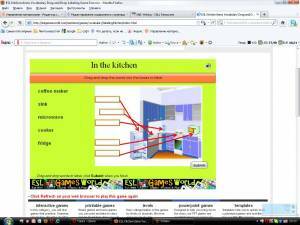 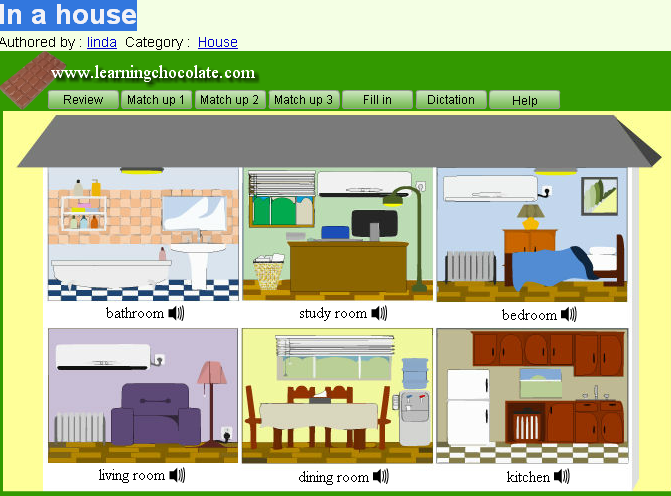 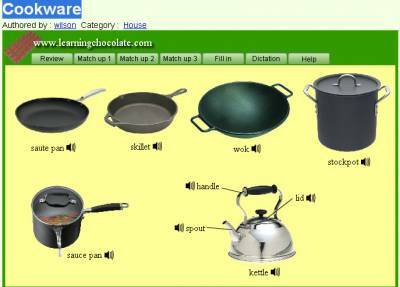 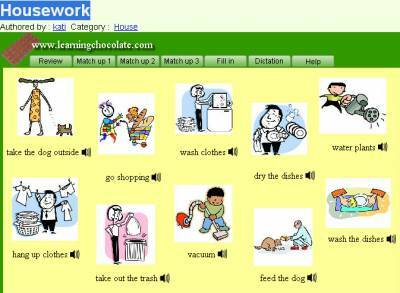 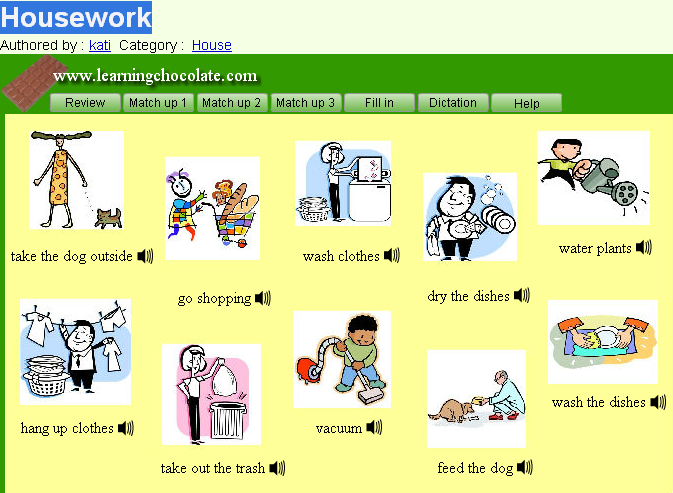 This is a game where you drag and drop words to label the items and objects in the kitchen.- coffee maker, cooker. 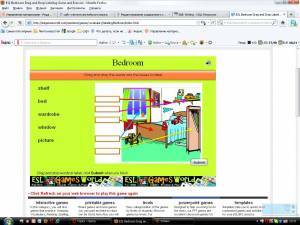 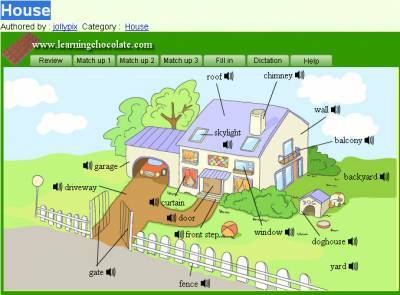 Busy Beavers Book 1 teaches the objects and rooms in the home. 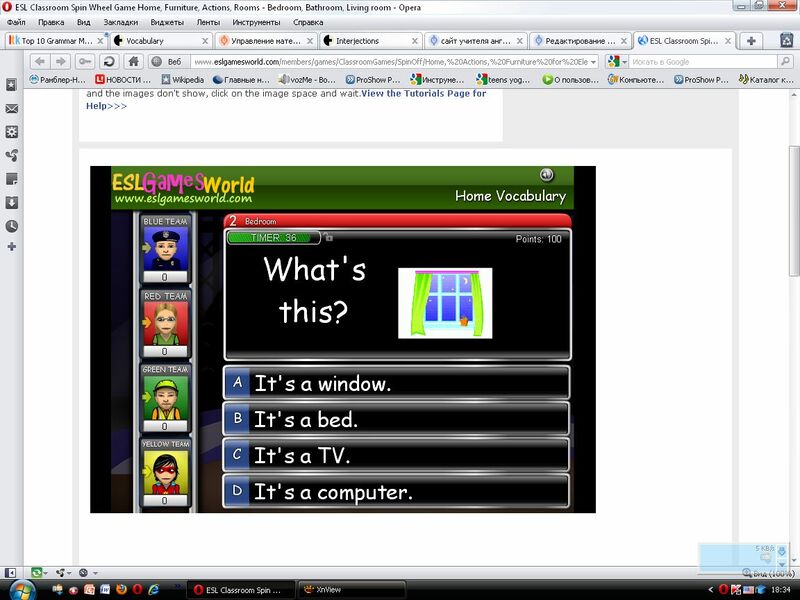 Students should be able to say - "The blanket is in the bedroom" etc.